What Are the Best Solar Panels for Colder Climates? Live in a climate with cold winters? Then you might think that solar is out of your reach—after all, it works best in the sun right? Well, not necessarily. 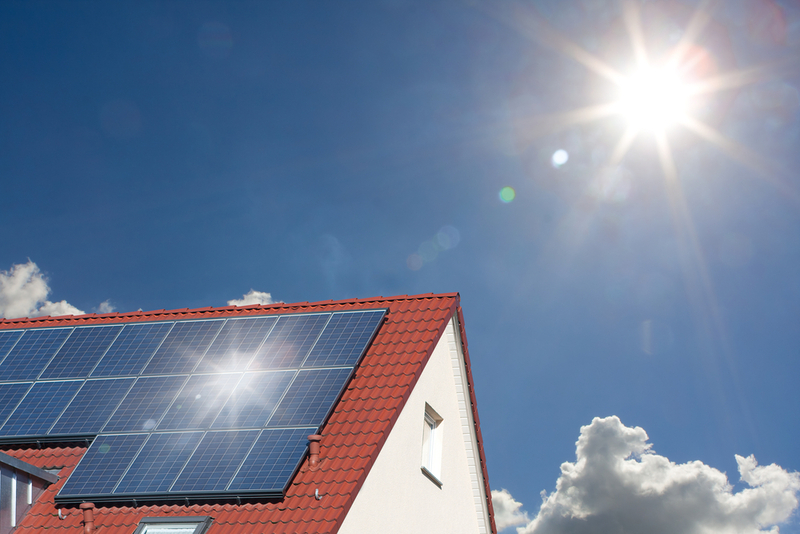 Research shows that solar panels actually harvest energy more efficiently in chillier weather. 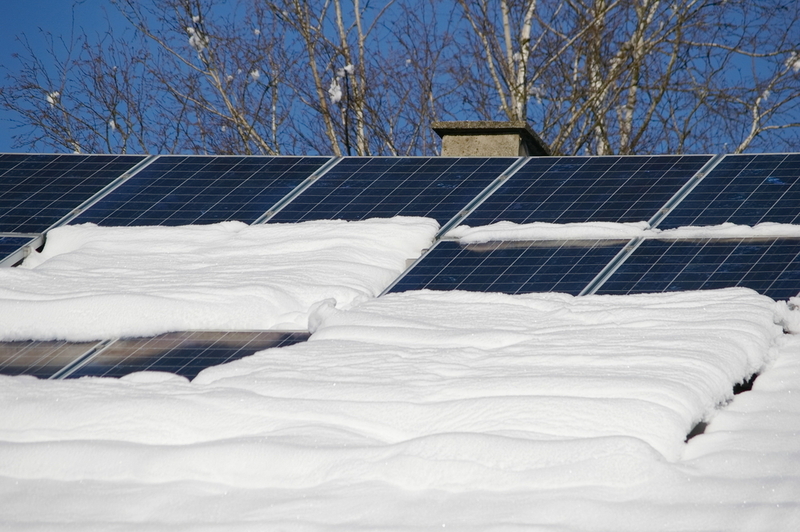 Furthermore, when there’s snow on the ground, your solar output may even improve. The snowy surfaces reflect light back to the panels, allowing them to collect even more electrons. Snow that’s left sitting on the panels’ surfaces, however, can severely hamper output. Furthermore, in rare cases, panels in windy climates have been subject to lifts that result in massive damage, especially when panels were installed with a vertical mount. In fact, the orientation of your panels and the mounting system matters a lot when you live in a colder climate. Here’s why. Got tons of snow last winter? Don’t choose a vertical orientation for your panels, then. Just like a window, panels can be installed so that they’re wider or taller—or horizontally or vertically. Snow tends to slide down to the edge of vertical panels, and when the panels are covered with snow, they won’t be as productive. It has to a lot to do with the way panels are structured. Most are organized in strings of solar cells that run horizontally, not vertically. So if you block off one end of each one of these strings, you’re limiting the productivity of each string on the panel, rather than merely covering one or two sets, like you would in a horizontal orientation. However, even if you have horizontal panels, the orientation of the system racks matters, too. A recent commercial whitepaper found that landscape-oriented panels with vertical racks actually shed snow faster than their horizontally-racked counterparts. Their research showed that horizontal racks actually hold snow beneath the panels, preventing it from dropping to the ground, and potentially freezing and blocking snow on the panels from coming down. And that’s important for solar production, since snow-covered cells obviously won’t generate any energy. The quicker the snow can melt, the better generation will be. So, if you want the highest productivity in a snowy climate, you may want to consider installing horizontally-oriented vertical-mounted panels. The reason most installers go with a horizontal orientation as a default is that this way, the panel racks can be mounted directly into the roof rafters. Your installer will have to add extra mounting equipment to the job to get a vertical orientation. And while that hardly means it’s impossible, it does mean you might have to pay slightly more for your installation—or suffer with racks that are slightly less secure—if you choose to go with this orientation. Maybe your home doesn’t have a traditional open gable roof. Maybe yours is a hip and valley type that includes multiple roof surfaces, and your installer has told you you’ll get better solar productivity if you place panels on the narrower, south side of the house. If your roof space is narrow but tall, you can definitely fit more panels in if you use a vertical layout. Think about it like the panels were Tetris blocks—you can typically fit about three vertical panels where only two horizontal ones could go. Each panel’s actual output rests on a unique calculation of its individual location, orientation (whether it faces north, south, east, or west), its size, the angle of its tilt, and a variety of other factors. However, because horizontal panels have a wider surface area, it’s possible that they may perform better in summer, when the sun’s rays fall more directly overhead. On the other hand, vertical panels might demonstrate better productivity in winter, when the sun is more angled. You should consult with a professional installer to make sure you’re getting the best orientation and tilt for your area. Or, to get you started, you can check out the predicted average productivity for your roof by visiting the ModSun solar calculator. While there’s no official research to support this claim, some solar installers feel that vertical panels are more vulnerable to wind. A strong blast could potentially lift the panels off the mounting racks, especially since they may not be bolted directly to your roof’s rafters. In fact, you may be even more vulnerable to wind lifts if you have a ballasted installation, where the racking system is cemented to blocks on the rooftop, rather than being bolted directly to your roof’s rafters. So if you live in an area prone to strong storms or other high winds, you might want to think twice about your racking and orientation. If your home sees heavy snowfalls, however, you can avoid many of the problems with snow coverage by purchasing and installing an adjustable mount. These panels allow you to adjust their tilt—and you can do it as frequently as you want. Most people use this feature to maximize their solar output, since the ideal tilt angle for your solar panels changes throughout the year, as the Earth travels on its rotation around the sun. However, you can also set the tilt to a much steeper angle to help with snow melt and coverage. It’s pure physics—the steeper the angle, the harder it will be for snow to gather on top of the panel surface. And any snow that does stick to the panels will drop a lot faster if gravity is acting on it. And the faster the snow drops off, the better your solar output will be. Generally, however, your panel’s orientation and mounting system should be customized to your home’s individual features and design challenges. Your solar installer should be able to run through these and help you decide exactly which panels and racking work best for your roof and your climate. Freedom of choice—it’s what solar is all about!